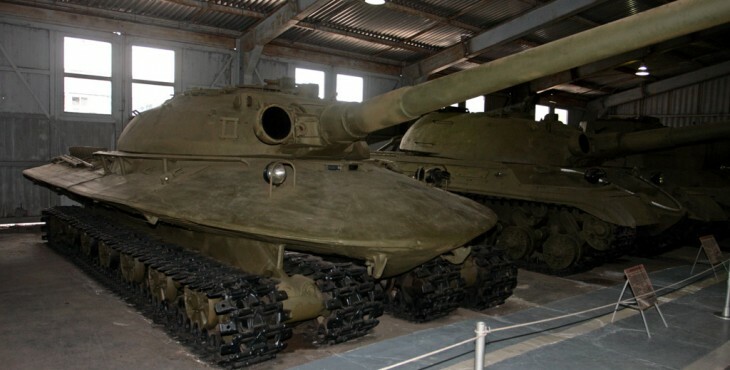 The mysteriously named Object 279 was a prototype heavy tank developed by the Soviet Union in the late 1950s. 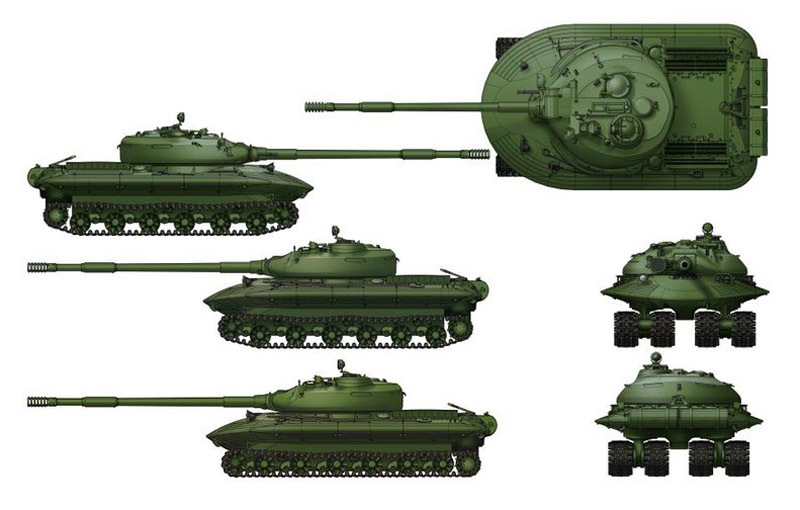 The tank was originally conceived as a heavy breakthrough tank designed to spearhead a mechanized charge. It had improved off-road and all-terrain capabilities in comparison to a regular tank, mainly due to its unique 4-track drive system. 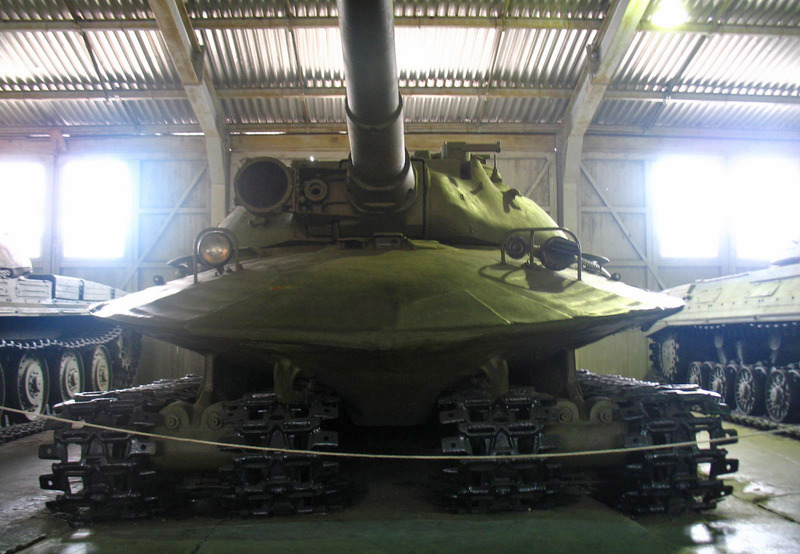 Object 279 was also surprisingly quick despite its 60-ton weight. This was due to the fact it was powered by a powerful 1,000 horsepower 2DG-8m diesel engine, allowing it to hit a top speed of 35 mph (55 km/h). On a full tank of fuel it could cover up to 180 miles (300 km). 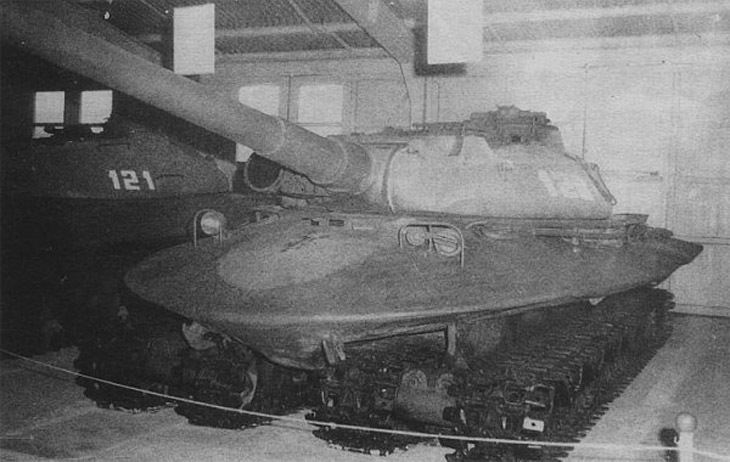 Aside from the four-tracks, one of the more unusual features of Object 279 was the curved shield which surrounded the tank. This shield was designed to protect the tank from armour piercing rounds and shaped charge ammunition. The hull shape was also designed to help the tank withstand the shockwave of a nuclear explosion. Underneath the shield, the crew were further protected by armour which was up to 10.4 inches (269 mm) thick. 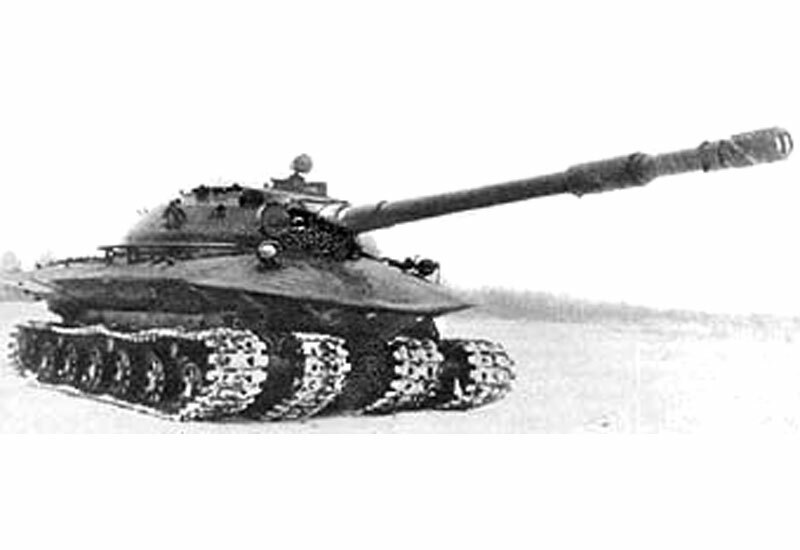 Unlike the earlier T28 Super Heavy Tank of the US Army - which had a fixed gun - Object 279 had a swivelling turret. The all-cast turret featured armour up to 12.5 inches (319 mm) thick with additional anti high-explosive protective panels. The tank was also fitted with chemical, biological, radiological and nuclear protection for the crew. There was also an automatic fire-supression system and air conditioning for the combat compartment. The four-man crew of Object 279 consisted of a Commander, Driver, Gunner and Loader. The tank's main gun was a 130 mm M-65 rifled gun with a rate of fire of 5-7 rounds per minute. 24 rounds were carried, and the firing control system consisted of an optical range finder, an auto-guidance system, night vision and an infrared searchlight. The secondary armament was a coaxial machine gun mounted to the right of the main gun. 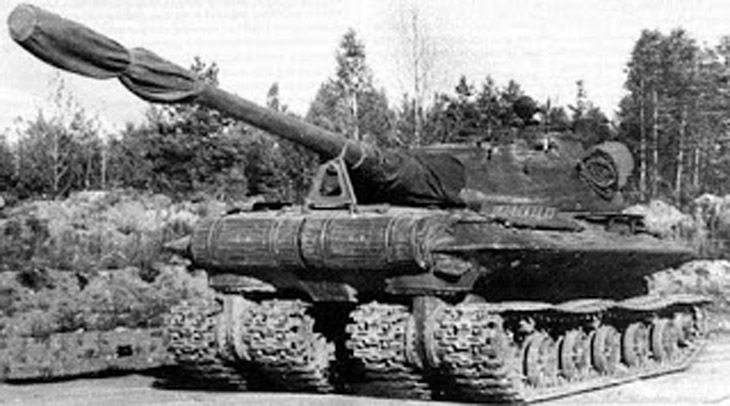 Although the Object 279 heavy tank proved to be a promising machine - there were some issues with the running gear which needed further work - the project was abandoned at the experimental stage by a sweeping military resolution implemented by the Soviet leader Nikita Khrushchev, who forbid the military from developing any tanks with a weight of more than 37 tons. 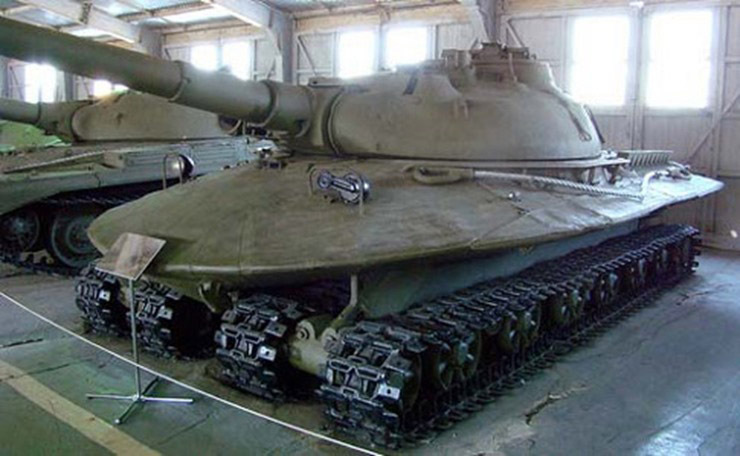 Khrushchev partly based his decision on the fact he was a keen supporter of guided missile tanks - tanks which proved to be unpopular with the Soviet military for a variety of reasons. In the end Object 279 project was abandoned just a couple of years after its conception. 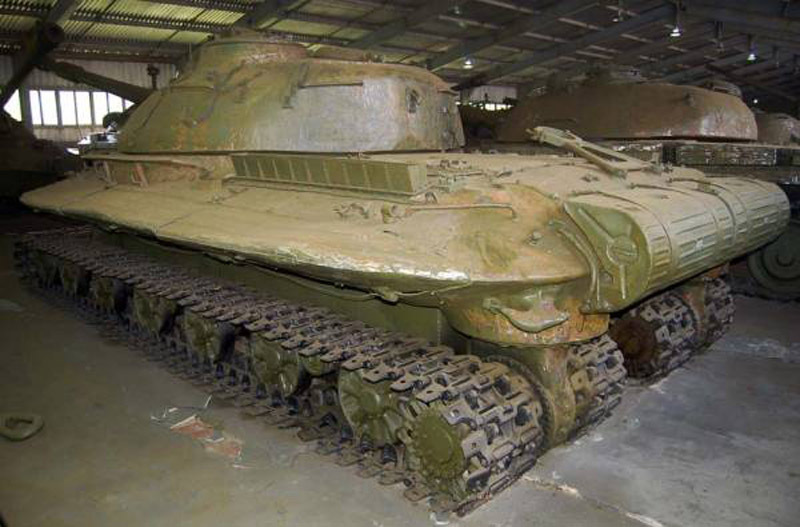 Thankfully this bizarre machine lives on, and is currently held at the Kubinka Tank Museum near Moscow.